Egypt is experiencing increasing civil unrest leading to growing speculation that it will result in the overthrow of its leader for the past 30 years - Hosni Mubarak. Tunisia has already seen the forced flight of its long time President Zine Ben Ali on 14 January following huge demonstrations in that country. Questions must now be asked as to whether similar popular protests will appear on the West Bank and in Gaza signaling challenges to the rule of Palestinian National Authority President Mahmoud Abbas in the West Bank and Hamas rule in Gaza under Ismail Haniyeh. the lead shown by the unprecedented displays of people power in Egypt and Tunisia and notwithstanding the revelations contained in the ongoing publication of the Palestine Papers by TV broadcaster Al Jazzera and The Guardian. In many respects Abbas and Haniyeh share much in common with Mubarak and Ben Ali - but the conditions prevailing in the West Bank and Gaza are very different to those in Egypt and Tunisia. Abbas is an unelected and unconstitutional President whose use by date expired on 9 January 2009 - but was unilaterally extended by him for another 12 months. He still continues in office after the expiry of that deadline with no fresh elections in contemplation. His Government - headed by Prime Minister Salam Fayyad - is also unelected having been appointed by Presidential decree. Abbas’s position is further complicated by the fact that he is also Chairman of the Palestine Liberation Organization (PLO) and also Chairman of Fatah - the largest faction in the PLO. have been met by vehement denials by Abbas and his chief negotiator Saeb Erekat who have branded such publications as “forgeries”. 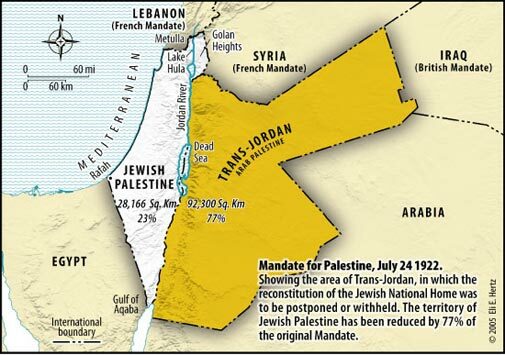 The West Bank population would also see diplomatic progress being achieved by Abbas in the recognition being afforded by many countries to the creation of a Palestinian State within the 1967 armistice lines - even though such recognition is of no legal import and can never occur without the approval of Israel. Any reason for civil unrest on the scale seen in Egypt and Tunisia therefore seems to be a remote possibility in the West Bank at the present time. Haniyeh rules in Gaza as the Prime Minister of a Hamas dominated Government following the elections held in the West Bank and Gaza on 25 January 2006. Abbas dismissed Haniyeh from office on 14 June 2007 at the height of the Fatah-Hamas conflict, but Haniyeh did not acknowledge the decree and continues to exercise prime ministerial authority in the Gaza Strip. The Palestinian Legislative Council also continues to recognise his authority. Regrettably this benchmark in the building of democratic institutions was a one-off event that has left the Gazan Arabs with no possibility of rectifying - by another election - the misfortune that has subsequently been heaped on them by the Government of their choice. Haniyeh shows no inclination to call fresh elections - despite there being no functioning opposition in Gaza to his continuing promotion of policies that are dedicated to the destruction of Israel rather than improving the welfare and social advancement of his own constituency. It would take acts of inordinate courage to seek to publicly call for the removal of a Government which is increasingly being seen as the standard bearer of the long held Arab dream to eliminate the Jewish State and free any part of former Palestine from Jewish control. Fear is the dominant condition prevailing in Gaza that will ensure there are no civilian street protests calling for the replacement of Haniyeh. Hamas would be brutal in snuffing out any such protests. Instead one can expect to see continuing rallies calling for the destruction of Israel and the removal of Abbas as the illegitimate President of the Palestinian National Authority. Maintaining the focus on these issues in Gaza will ensure Hamas and Haniyeh will continue to rule Gaza with an iron fist. Whilst other Arab states with long serving unelected leaders may be quaking in their boots at what might occur to them - the West Bank and Gaza seem set to escape the public awakening that is fast overtaking the Middle East.